Homoeopathy is a long established system of health care which is believed to activate the body's own healing processes in order to eliminate a disease process naturally, gently and quickly. Homoeopathy is a natural pharmaceutical science that uses minute or infinitesimal doses of substances from all three realms of nature, plant, mineral and animal, to activate the body's innate healing responses. The word homoeopathy is derived from the Greek "homios" meaning similar and "pathos" meaning suffering. The science of homoeopathy was founded in the early 1800's by a German physician, Dr. Samuel Hahnemann, while researching into the toxicology of the medicines of his time. Dr. Hahnemann, discovered that a specific minute dilution of a substance would remove the symptoms that a larger amount of the same substance was capable of evoking. Through numerous experiments, he advanced the theory that "likes are cured by likes" and these days it is a verified law of pharmacology: "The Law of Similars." Homoeopathy does not treat disease as such, but rather activates the body's own healing processes in both the physical and emotional levels. The range in which Homoeopathy can be effectively utilized, is extensive and includes first aid, acute illnesses and all manner of chronic conditions. 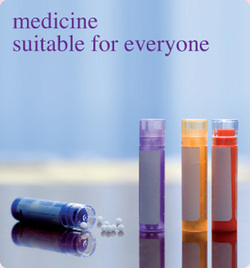 Homoeopathic remedies are compatible with nutritionals, herbs and medicines. They are among the safest preparations known to medical science. Common dosage is 7-15 drops 3 times daily 30 minutes before food.